With the wheels and gear laid out and frames in place (details in the previous blog entry) we've started to build up more of the main components of the loco. 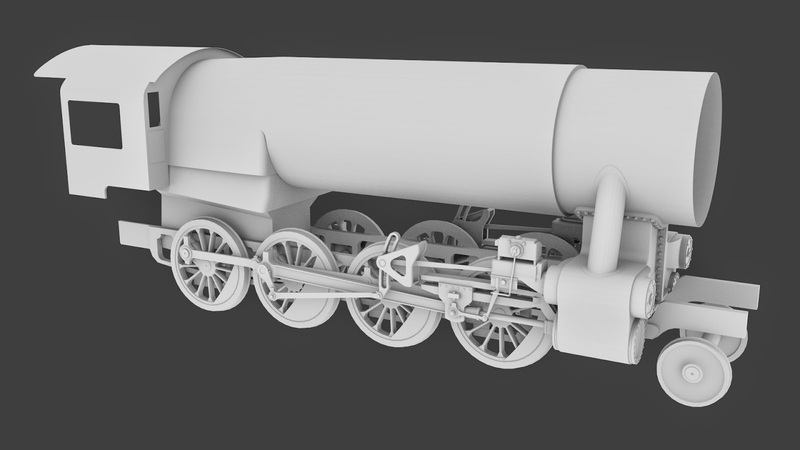 A boiler, smokebox and cab are always useful for checking proportions and layout of other parts, and in the case of the S160 the firebox is a major visible component as well. 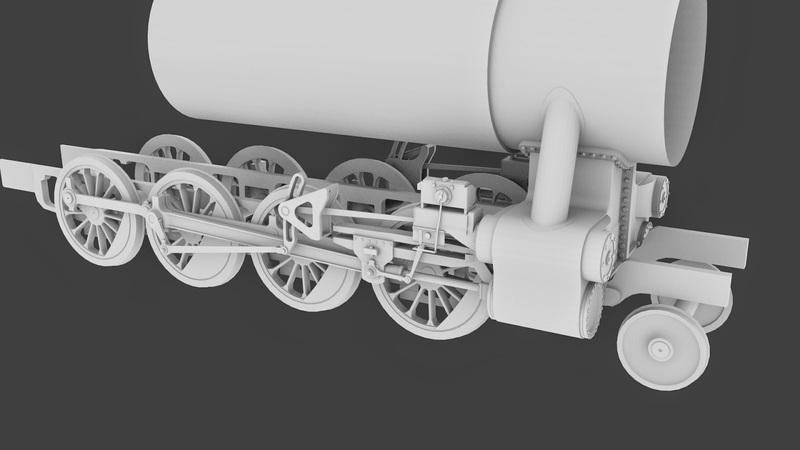 So with part of the boiler and smokebox in place we were able to finish the saddle - and we couldn't resist adding some rivets to really bring out the detail in it - and add the outside pipes. Then it was back to the valve gear to add the cover over the combination lever and the mechanical lubricator mounted above it. Adding the basic shapes of the cab, firebox and shaping the rear of the boiler the locomotive really starts to take shape. The next step was to add the smokebox end - and again we couldn't resist getting the rivet gun out! - with it's very distinctive offset door and top bracket used to mount numerous types of electric and oil lamps. 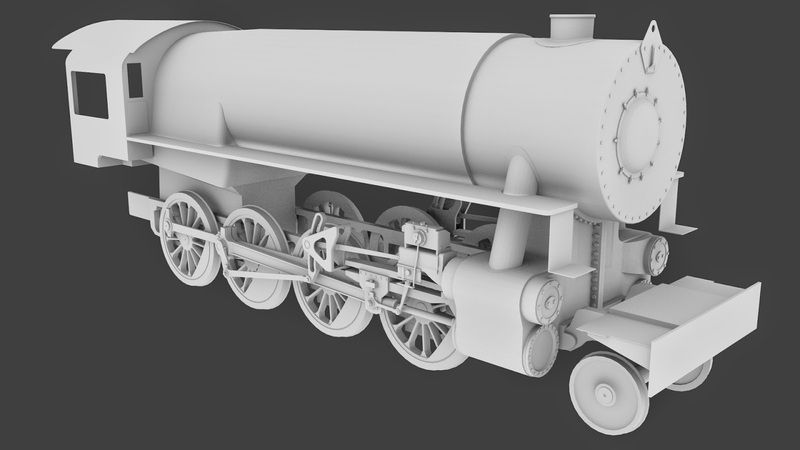 The running boards and front plate start to take shape as well and the final part of this update was to model 1 of the 4 types of chimney that will come with the final package. Will it only come in UK version, or will it have a americanized version as well? Would you mind showing the progress you've made through April? Words cannot describe how excited I am for this, And for the GT3! The GT3 has made some progress in spare time but the S160 is on temporary hold - it is DEFINITELY going ahead, we just have a couple of other things taking our time at the moment. We will post some kind of update soon though, probably end of this week.